Escape to a private pool villa paradise with a tropical stay at the Park Hotel Nusa Dua, Bali. 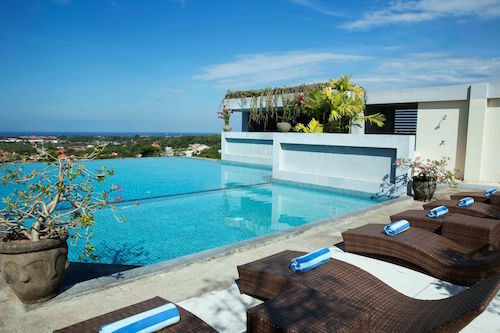 Boasting unrivalled panoramic views over Nusa Dua Beach and Benoa, this hotel is the ideal place to kick back and unwind. You’ll fall in love with your beautiful villa featuring its own private swimming pool, the perfect choice for couples looking for a romantic getaway or families looking for an adventure in Bali. Includes daily dining experiences, daily cocktails, daily buffet breakfast, daily afternoon tea, a luxurious 60-minute massage and one-way airport transfers.